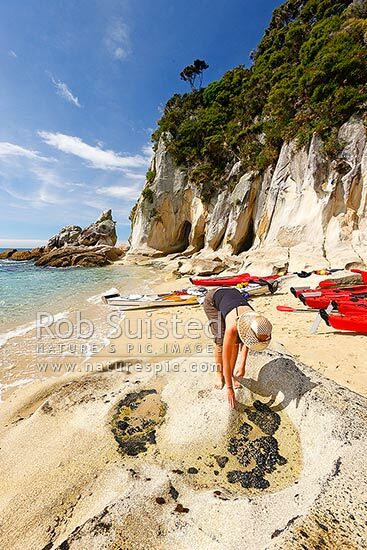 Abel Tasman coast at Tonga Arches, or Arch Point with sea kayaks and kayakers. Summertime. Woman investigating small mussels growing in intertidal rockpools, Abel Tasman National Park, Tasman District, Tasman Region, New Zealand (NZ), stock photo.